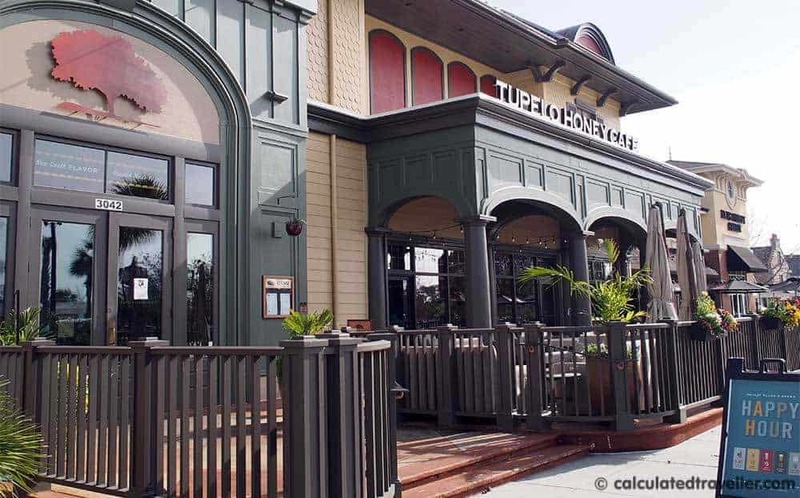 Southern hospitality is expected when one travels anywhere within South Carolina but having reading glasses available for patrons at the hostess station at Tupelo Honey Cafe in The Market Common district of Myrtle Beach goes far and above. That’s not to say that the menu’s hard to read or that the clientele is grey-haired — on the contrary — the staff are just being proactive and hospitable as they welcome you into their “home”. Once seated, I found the decor to be bright, airy and sophisticated. I sat there the entire time wishing that this was MY home – loving the teal coloured walls and light wood furniture. I wish that the weather had cooperated the day of our visit but there was a bite in the air and the forecast called for intermittent sun showers. We played it safe and opted to eat inside — a shame really because the outside patio is lovely with a view of the street and Valor Memorial Gardens in Market Common. 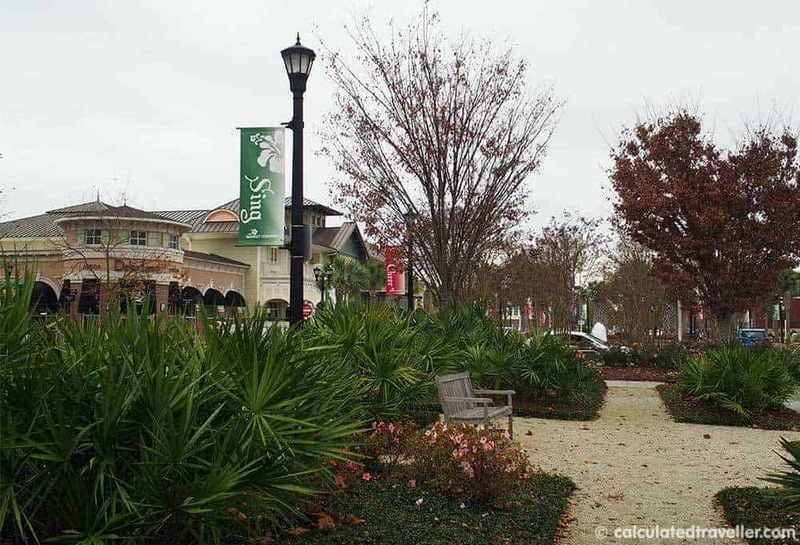 The Market Common District located near Myrtle Beach International Airport was formerly home to The Myrtle Beach Air Force Base. 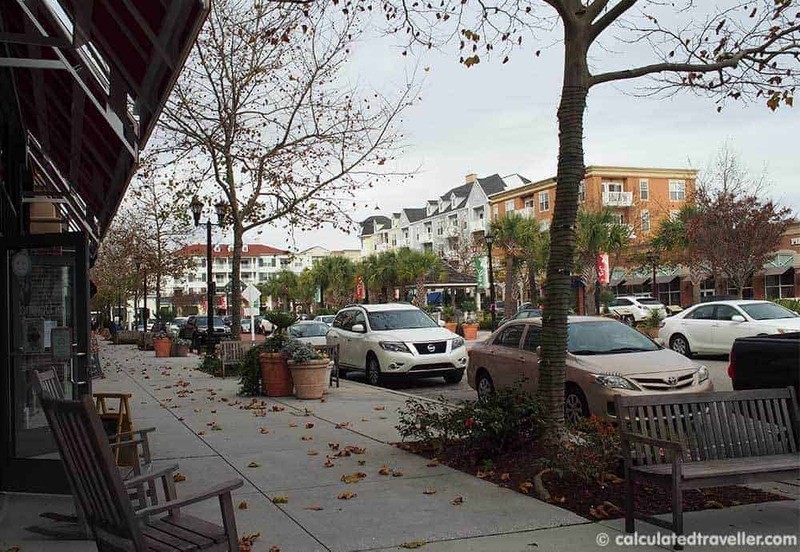 Now, this hot part of Myrtle Beach seems to be the place to live, eat and shop. With gardens, gazebos and tree-lined streets and plenty of places to sit courtesy of wooden benches and rocking chairs, you can’t help but “sit-a-spell” and watch the world go by with coffee, pastry and book. 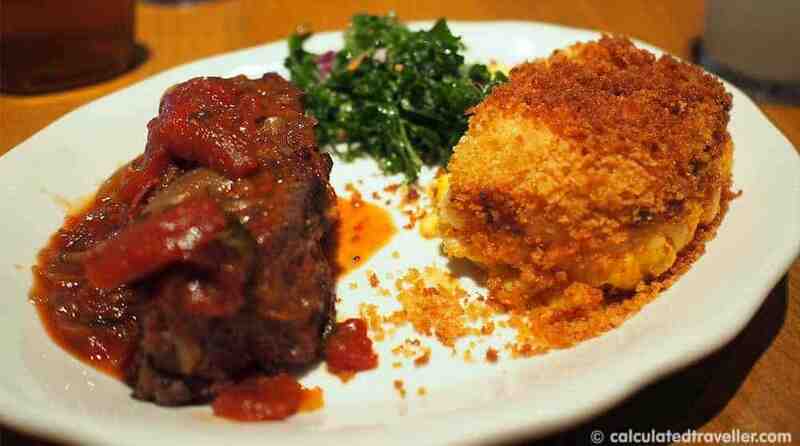 With Southern fare on the menu such as shrimp & grits, and fried chicken & biscuits — everything is made from scratch. I especially loved the tender scratch-made biscuits served with fresh preserves and of course their very own Tupelo Honey! To drink, I had one of Tupelo Honey Cafe’s Signature House-made drinks – Lavender-Limeade Fizz – $3.50 (photo at top). I love “exotic” blended beverages especially when a restaurant takes the time to make one that is non-alcoholic. The fragrant lavender was lovely and went well with the sourness of the limeade – refreshing! I don’t usually order chicken breast because I find it gets overcooked and dry but this chicken was very moist and flavourful, and honestly chicken and gravy is a must-eat when you are dining in the South. 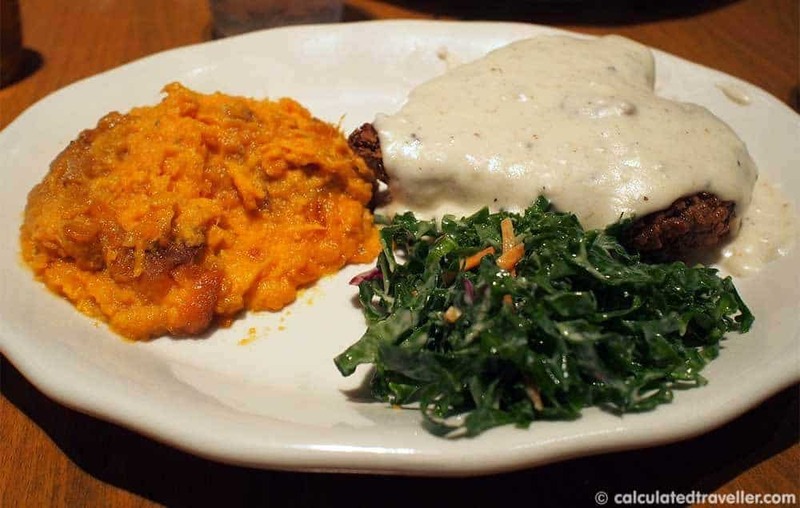 I wasn’t a fan of the slaw – finding it a bit too woodsy and “healthy” for my taste but the mashed sweet potatoes were excellent. Hubby Ray especially enjoyed his meatloaf and mac-n-cheese and quickly cleaned his plate. He felt as I did about his slaw – too “healthy” for us carnivores. We enjoyed our meal and found the staff to be very friendly, knowledgeable and spot on when we asked for recommendations (and explanations) on the menu. We would most definitely eat here again on our next trip to Myrtle Beach. 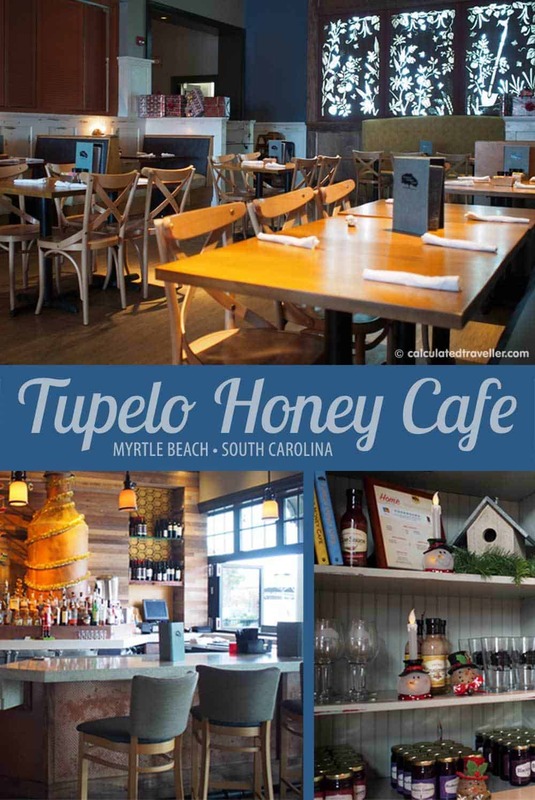 It wasn’t until our return home did I discover that Tupelo Honey Café has other locations in South Carolina, North Carolina, Virginia and Tennessee… So go on and give one of them a try the next time you are looking for comfort food and “Creative Southern Food That’s Good For The Soul”. Free parking lot behind the restaurant. 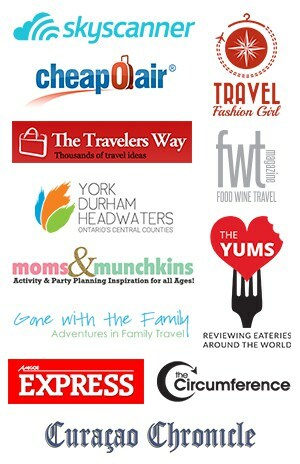 Travel assistance by Visit Myrtle Beach. All opinions as always are our own. 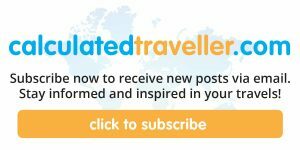 Looking for more adventures in Myrtle Beach? My parents, 20 aunts and uncles and too many cousins to count were/are all from North Carolina. But for as many times as I’ve visited, I’ve never made it down to Myrtle Beach! This cafe sounds really interesting, especially with the modern spin they’ve put on southern classics.